Thimbleby is west of Horncastle. T Clark for the Primitive Methodists missioned the village around 1822 but the society of up to 30 members lasted only until 1831. The society revived in 1843 when the Priestley and Dawson families moved in to the village. 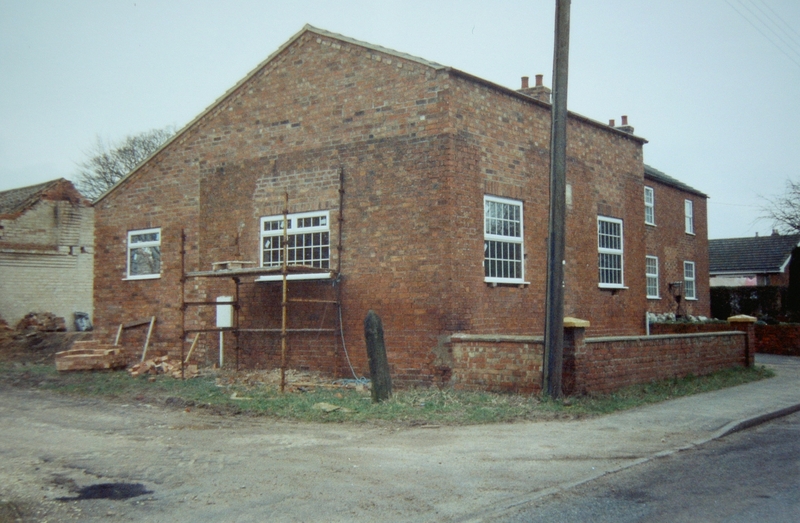 Bro Priestley provided a piece of land he had recently bought and Thimbleby Primitive Methodist chapel was opened on October 18th 1857. At this time the village had around 500 inhabitants. Opening preachers included C Kendall, W Richardson and A Johnson who wrote about the opening in the 1858 Primitive Methodist magazine. 140 people were fed – and donated money – at the opening tea-meeting. The total cost was £110 of which they had raised around £43 at the time of opening. Special thanks were due to Mesdames Priestley and Cade. It closed in 1995 and was used for storage. Later it was converted into a house – Eglise Cottage. More detail of the opening of the chapel has been added from an account in the Primitive Methodist magazine.